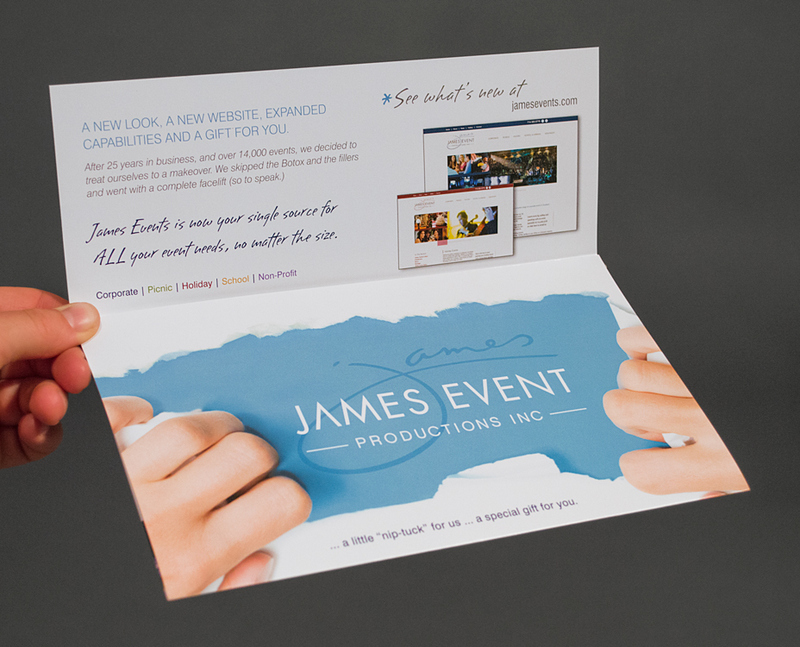 BRIEF #1 Re-Brand launch materials created for James Events. 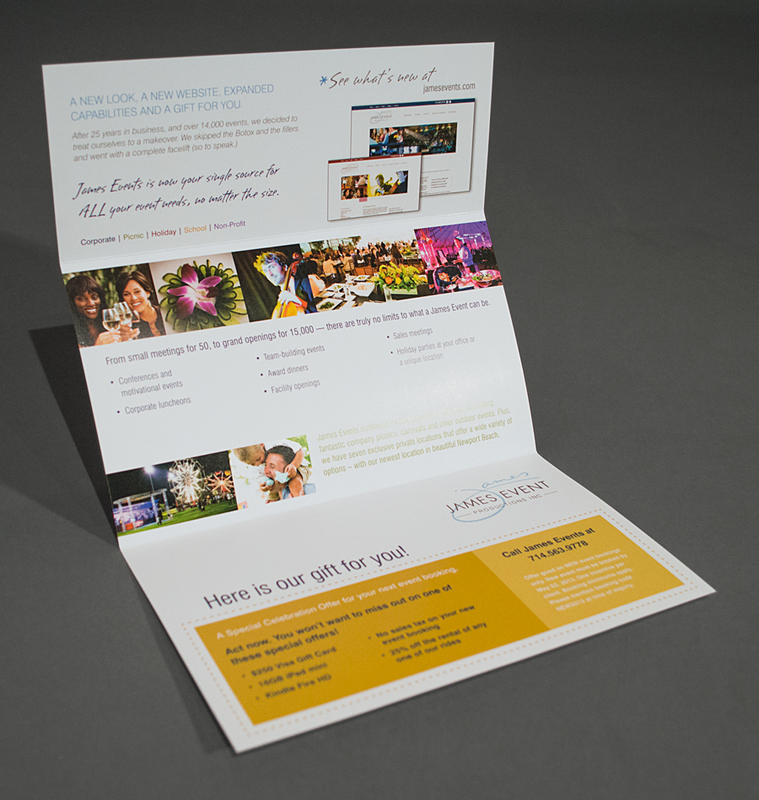 The focus of their re-brand was to take their "party planning business" into more upscale and specialty events. 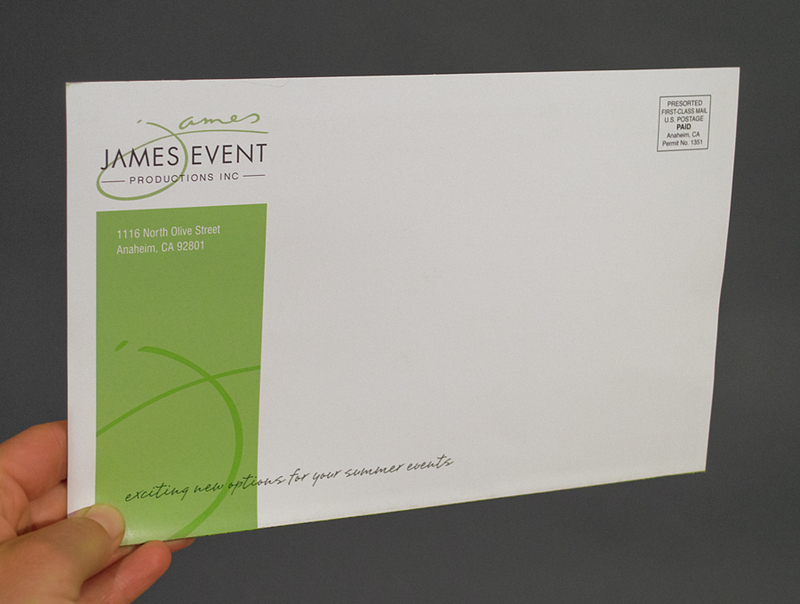 BRIEF #2 Event marketing materials created for James Events’ annual open house, where they showcase their event planning capabilities. 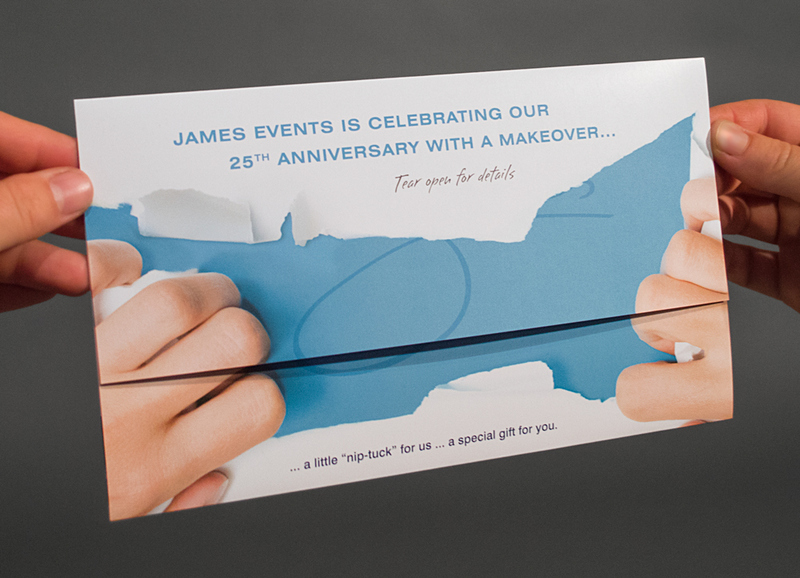 This event occurred one month after the re-brand launch, so the materials tied back to the “tearing open” visual theme. 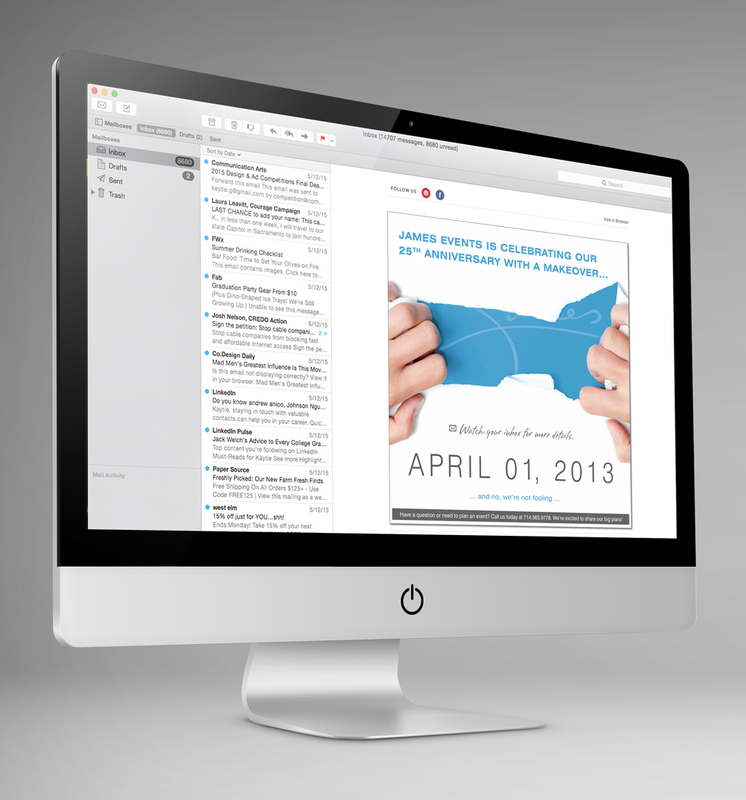 MY PART I art directed and designed all of these materials, with some direction from the client. 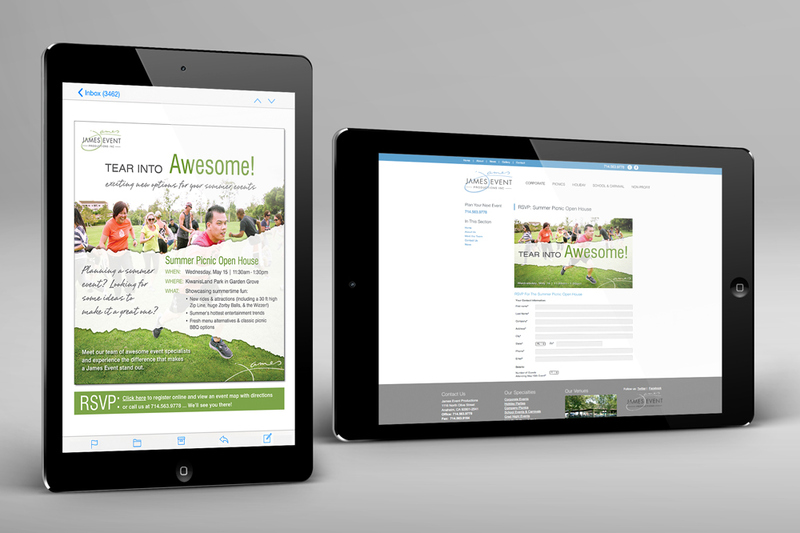 I oversaw final printing and die cuts of the mailers, and worked with a web developer on the landing pages. 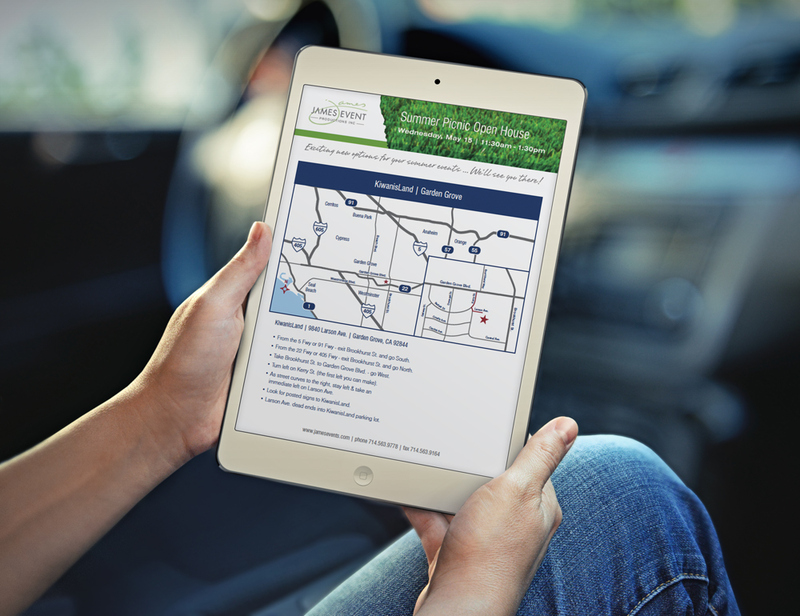 TARGET MARKET - Companies in Southern California with over 20 employees. 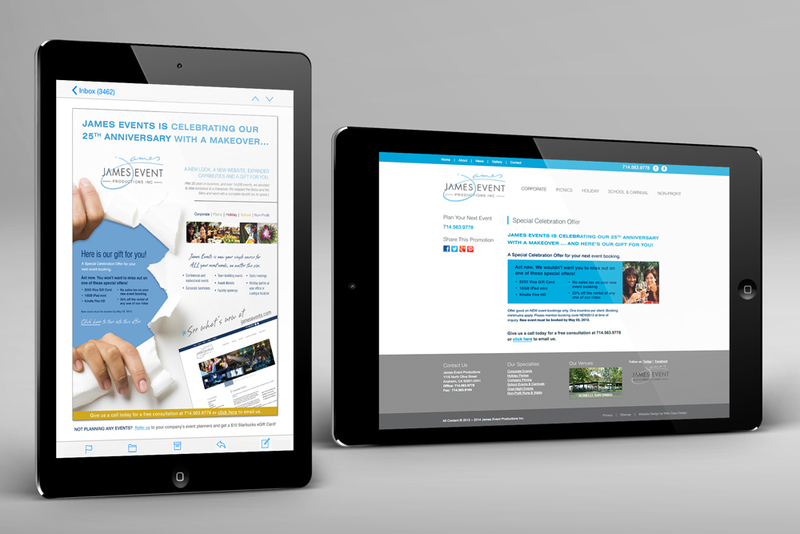 - Large non-profits and other fundraisers. - Event planners. 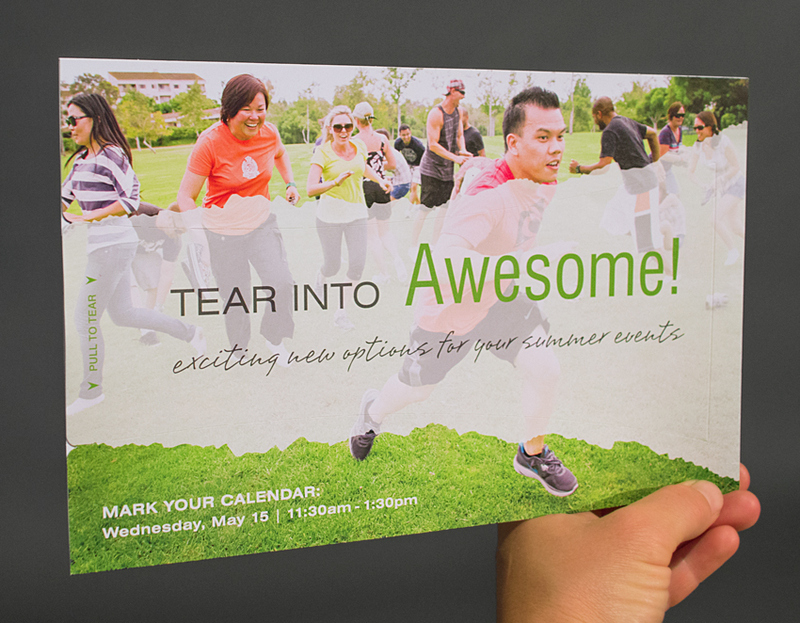 BRAND CULTURE - Fun and fresh. - Bright and cheerful. - Professional and trustworthy. 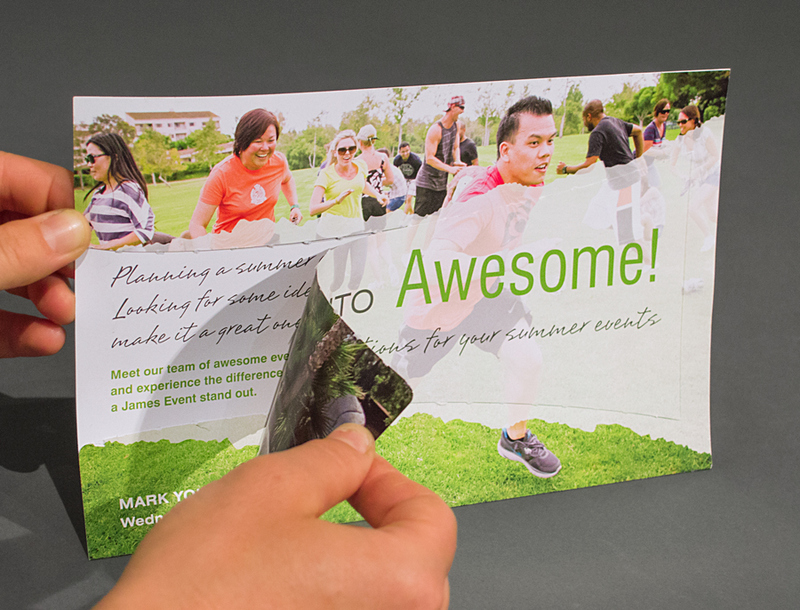 Tri-fold mailer with spot UV gloss. New logo is revealed when the first fold opens. 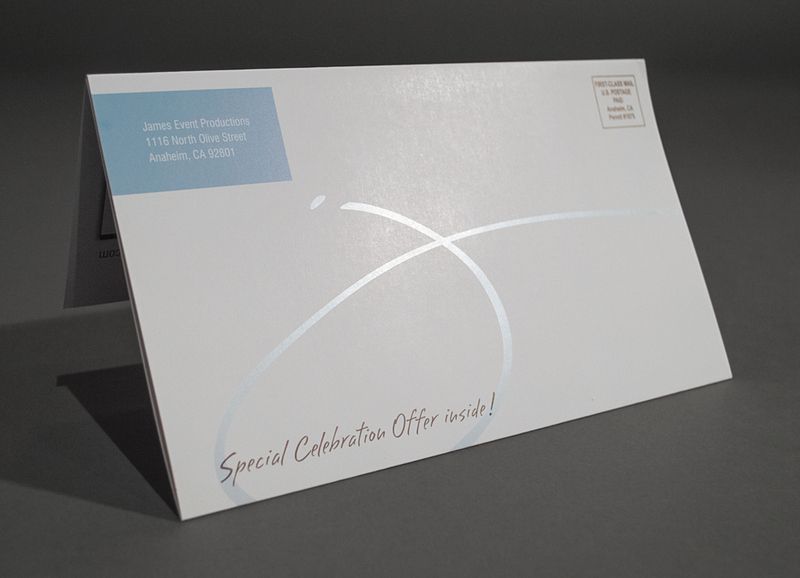 Custom created die cut, score and glue - gives the effect of "tearing into" the invite.